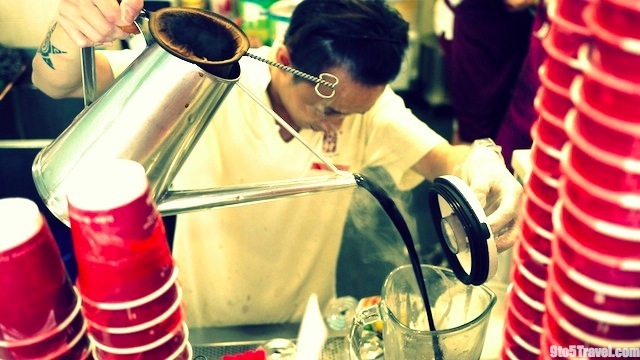 Founded in 1944, Ya Kun Kaya Toast is a retro-ambience coffeestall and Singaporean cultural icon. The original cafe has since expanded to include over fifty outlets, across six countries and is widely regarded as an institution of ideal kaya toast. Ya Kun’s limited menu revolves around this core product — kaya (coconut jam) toast — with cheese, peanut butter and ice cream as alternative spreads for its very famous, thin and airy, crisp brown bread. Set meals are popular and combine any type of toast with soft-boiled eggs and a beverage, usually kopi (coffee with condensed milk) or teh tarik (“pulled” milk tea). 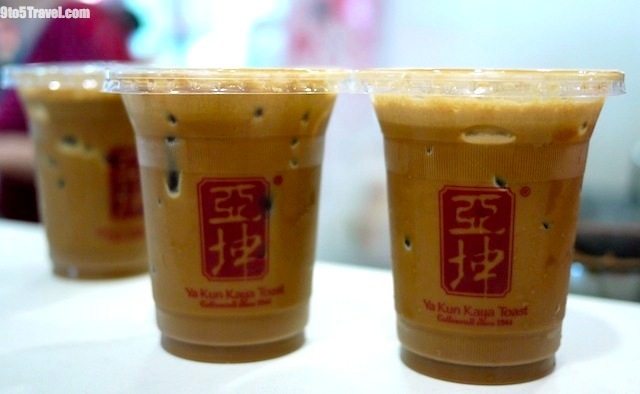 Ya Kun’s menu also offers sweet French Toast and savoury Toastwiches, as well as iced drinks like Milo, Horlicks, and lemon tea, and mocha and caramel blended beverages to appeal to everyone. 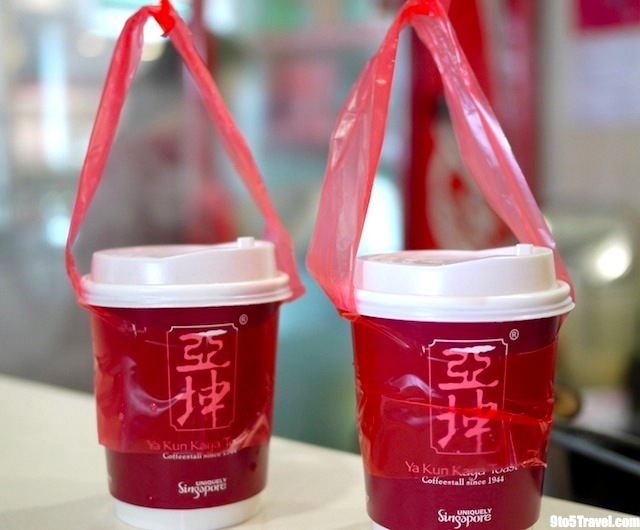 This cafe company is so iconic that it’s even promoted as a travel attraction by the Singapore Tourism Board. We visited the shop on Orchard Road, but check out their flagship stall at Far East Square (18 China Street) for an authentic, family-run experience.